When the HTC 10 was announced earlier today, it was revealed that the unlocked version of the flagship will work with T-Mobile’s network, including band 12 LTE. What wasn’t clear if it would also support features like Voice over LTE (VoLTE) and Wi-Fi Calling. Now that master has been resolved. Mo Versi, HTC’s VP of Product Management, today confirmed that the unlocked version of the HTC 10 will fully support T-Mobile, including VoLTE and Wi-Fi Calling. You can see Versi’s response for yourself below. When HTC launched the unlocked One A9 last year, it confirmed that that model would work with T-Mobile VoLTE and Wi-Fi Calling, so it’s not too surprising to learn that the unlocked HTC 10 will, too. It’s good to get confirmation that that’s the case, though, especially since folks that buy the unlocked HTC 10 will be dropping hundreds of dollars to buy their new phone. If you’d like to pre-order the unlocked HTC 10, you can do so right here. 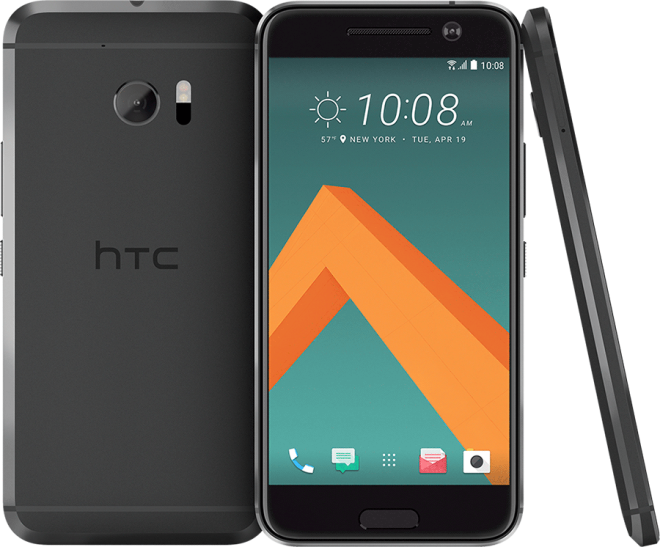 Pricing is set at $699, but if you use the promo code HTC1008, you can knock $100 off that price. The unlocked HTC 10 is expected to begin shipping in early May. The T-Mobile model is also slated to launch in May, but no pricing info has been revealed. I’ll definitely be buying unlocked. Screw buying branded devices! Remember it’s unlocked, no additional bloatwear and faster firmware updates. I would think it’d be pretty obvious at this point especially since there’s a carrier version. Advanced messaging and the enhanced calling would be more important to know. I’m more worried about future network revisions and the hardware that supports it. That makes the HTC 10 the first non-Apple and non-Google, and seventh unlocked overall, phone to be fully compatible with T-Mobile. The Blackberry priv worked out of the box on the unlocked model before there was an official T-mo model. I believe that’s the first non-Nexus android phone that supports both band 12 certification and wifi calling. Wait,… So for how long will HTC put out updates for the unlock model ??? And will it support T mobile advance messenging ?? I was wondering this too, no word on the commitment of updates like they did with the A9. 15 days after Nexus updates, including monthly updates? HTC is making a comeback and it’s about time, but $600 is still steep. This phone will be $500 around September. Definitely pre-ordered it earlier. Super stoked HTC pull out all the stops for this HTC 10. How about compatibility with EVS (enhanced Voice services)? Why do you say that? What do you think TMo will sell it for? Finally, another unlocked phone that gets band 12 and VOLTE. So so many phones don’t. Would you expect the phone from tmobile to be cheaper or more expensive than HTC’s unlocked version? Since you would have to use on TMo, and not leave to another carrier …. Maybe I’m wrong (although prob personal decision)…I was thinking the unbranded would be better – less bloatware and crap pre-loaded on the phone. I’m not one that has ever rooted/tweaked my phone, and I don’t see me doing it in the future – so I guess turning it into a t-Mo version myself is unlikely. Would I really want OTA updates from T-Mo? I would think direct from HTC would be better anyway. Jared… Great post! I’ve been with t-mobile for over 16 years, and I appreciate you asking loyalty directly. I just can’t decide whether to buy now, or wait and see what TMo offers..